Having problems with your auto glass and need a car window replacement Las Vegas? Whether your window is stuck, rolls down slowly or got broken, California Auto Glass Inc is here to the rescue! Long term problems can arise from rain, dirt or every time you wash your car. Don’t let your car window be broken for too long, let us offer you a inexpensive replacement. Our auto glass repair and replacement costs are low. We use metal parts for most car window replacement Las Vegas to last longer. We have well trained technicians ready to inspect all your auto glass parts. Your windshield for any cracks, chips or other damages. Your side windows to make sure we can prevent and avoid future damages. We will check all the motors and regulators and fix any necessary components. If no repair will successfully fix the issue, than we will perform a replacement. If your window just got shuttered, don’t wait to call us. Call us immediately! With our window replacement Las Vegas mobile service, our experts will be on their way in not time. We are available every day, it doesn’t matter what side of Las Vegas you live in. With over 15 years in the business, offering great customer service and cheap auto glass repair Las Vegas. 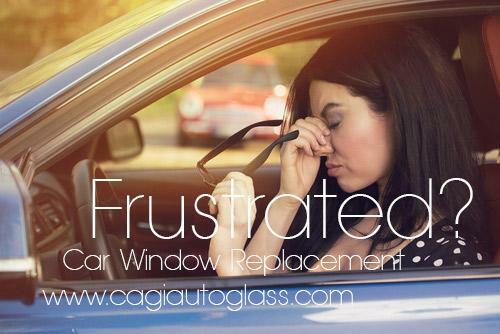 Get your car window replacement Las Vegas today! We are open 7 days a week with cheapest windshield replacement near me. With a simple call, will be to the rescue! Ask us about our discounts. We also offer power window repair in Las Vegas! Setup your appointment today and don’t forget to follow us on Facebook. Thank you for visiting California Auto Glass Inc!